Many small children absorb science facts best when teachers incorporate investigative opportunities with traditional lessons. Ordinary table salt provides many opportunities for children to learn science concepts. For example, children can learn about the effect of salt on ice from basic, safe experiments. Many hands-on lessons are even simple enough for a parent to perform with his child at home. You can help a second-grader evaluate the effects of salt on water's ability to freeze. To conduct this experiment, start with a disposable cup filled three-fourths of the way with tap water and another cup filled to the same level with water mixed with about 1 tablespoon of salt. Place both cups in a freezer and observe them every 20 minutes until the water in at least one of the cups freezes. From this lesson, second-graders can learn that adding salt to water lowers the temperature at which the water freezes. While an unsalted cup will freeze at 32 degree, salted water can require much lower temperatures to become a solid. The temperature required depends on how salty the water is, but sometimes temperatures reach as low as minus 5.8 degrees before salted water freezes. 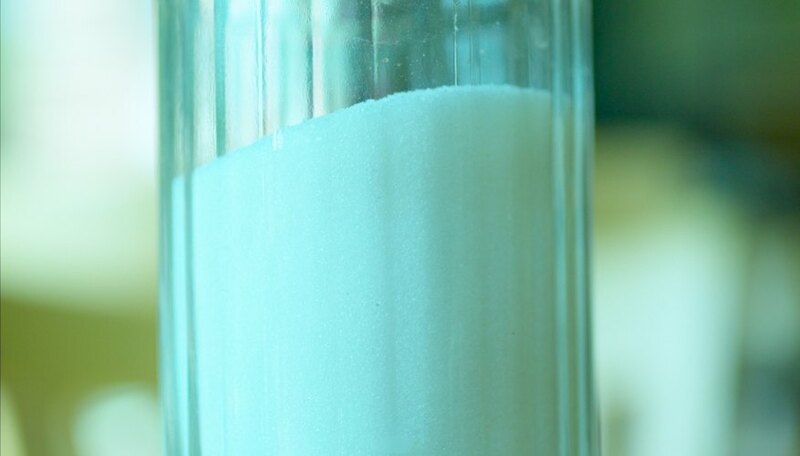 Salt and water make it easy to demonstrate the difference between a mixture and a solution to second-graders. For this lesson, you will need two cups or bowls, a 2 teaspoons of salt, some Italian seasoning and water that is hot but unlikely to cause a burn. Have the child stir the salt into the hot water until it dissolves. If you can still see granules after stirring for a few minutes, add a little hot water to the cup. Once the salt dissolves, fill the second bowl about halfway with hot water and add a couple of teaspoons of Italian seasoning. Finally, have the child stir the seasoning in the water until she realizes it won't dissolve. This lesson demonstrates that a solution involves one substance dissolved in another. With a mixture, however, the substances remain separate from each other. Experiments with salt and water can help a second-grader learn about the density of water. Objects that are less dense than water float while those with higher densities sink. Adding salt to water can change its density. To demonstrate this, start with two medium-sized bowls. Fill each bowl halfway with water. Add about 6 tablespoons of water to one bowl. Add items such as coins, marbles, pencils, pieces of fruit and small rocks to each bowl, one at a time. Note which items float in plain water and which ones float in saltwater. If the items sink in saltwater, add more spoonfuls of salt until they float, and then record how much salt was required. This lesson should show that adding salt to water increases the water's density and makes items more likely to float. Second-graders can learn that salt melts ice through experiments involving salt, ice cubes and another substance such as sugar or cinnamon. To perform this experiment, take two bowls and place one ice cube in each bowl. Pour about 1 teaspoon of salt on one ice cube and 1 teaspoon of sugar or another spice on the second ice cube. 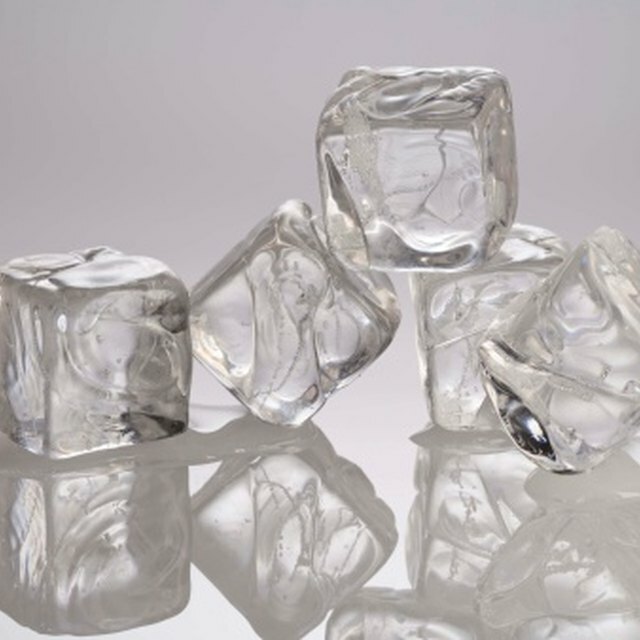 Observe the ice cubes to see which one melts fastest. The ice cube with the salt on it should melt faster. This hands-on lesson can also help illustrate that water can exist as a liquid and a solid. If you boil water to create steam, you can also show it as a gas. Meyers, Jordan. "Second-Grade Science Lessons Using Salt." Sciencing, https://sciencing.com/secondgrade-science-lessons-using-salt-12180499.html. 24 April 2017.